I’ve made pie crust from scratch. Grandma’s sour cream recipe complimented our fresh-picked cherry pie with divine bliss. I savor the memory of that incomparable pie. But since that yesteryear day of baking, I’ve come to prefer another. I don’t craft an heirloom pastry when baking pies. My go-to crust shall ever be the frozen shell. How can you beat a ready-made crust in its own tin? Less mess on the front end. No dish to wash afterward. No one complains. At Thanksgiving, Christmas, and other special feasts sprinkled across the calendar between them, our gatherings culminate in a representative dessert. Pie unites at the center, yet offers equal joy to all who share it. Whether pumpkin, chocolate cream, or pecan, the flavors sweeten our expressions and satisfy to the wriggling of toes. The doughy matter on the outer edges makes no impression compared to the luscious filling. Circumstances hemming the world blur outside the windows as baby giggles and hugs warm the home’s inner spaces. Laughter, encouragement, love. God baked sweet fillings into our middles, with the intention we would share our best with one another. Frozen shell tins do not come with storage covers. Leftovers cannot be microwaved in a tin. I bake according to the Creator’s recipe–no sweet thing should be discarded. I look forward to empty pie tins after Thanksgiving, and pray my life will offer a similar celebration. May I share all the Maker’s filling. With no sweet morsel left over that has not been enjoyed by those He loves, let my life be an empty pie tin. Have a Blessed Thanksgiving, and share all your pie! Odd Life of Extraordinary Creatures. The odd life of a fairy tale creature begins ahead of our classic “once upon a time” moment. Forest animals pranced among the trees without a musical score and avoided humans until Snow White entered the scene. Attic mice scurried along like common vermin before Cinderella inspired them to sing. A frog croaks regrets of lost glory, his hopes fading day by day, until a royal kiss restores his identity. In the backstory, these charming characters showed no promise. Unremarkable critters continued their existence with little or no potential to play a role in an epic tale. They knew nothing else, expected nothing more. Had they remained outside the storyline, they would have lived in perpetual commonness. The author chose them, knowing the story required drawing those specific characters into destined lines on its pages. Author selection transformed them from mundane whatevers into extraordinary creatures. As we scurry through the everyday ho-hum of our existence, commonness takes hold of our identity. We look into the mirror and declare the same first name–ordinary. We feel unremarkable, insignificant. Hope of promise or potential eludes us. Dramatic plights destined to change a kingdom remain foreign dreams, unknown to us. Enter the Author. He opens His Story and everything changes. Once upon a time, an epic tale chooses each of us. We choose whether to accept our destined role in the extraordinary new life. Remaining outside the storyline delivers a sentence of mundane existence. The Author’s quill feathers whisper over us an invitation to choose life. Our previous lackluster state cannot limit the Author’s power. He specializes in dramatic transformation. The more impossible a character’s elevation seems, the more it adds sparkle to the story. Examine the Author’s previous work. Ordinary mice like Gideon become valiant heroes. David, the bleating little back-country kid, morphs into a king with an everlasting legacy. And in a little mudpuddle called Nazareth, an impoverished girl becomes the mother of God’s Son. Those who accepted Him as Author of their lives received a transforming Holy Spirit to dwell within them. The Lord’s power seated inside, no Christian remains ordinary. Unlike the fairy tale versions, our mirrors tell precious little of who we are. The Prince of Peace knows your identity and your true destiny. Take His hand, and accept your role as an extraordinary creation. Follow the Author’s Words and become part of the story that will lead to to a joy far greater than happily ever after could promise you. Centuries ago, a wary king rebuilt his wooden stronghold with stones. He nestled a bluestone in its ramparts to honor the special rock’s donor. Legends swirled from the walls through a nobleman’s lips and into the royal court. His flattery confounded the queen. Rumors stirred the winds and people suspected unnatural origins to his verbal prowess. 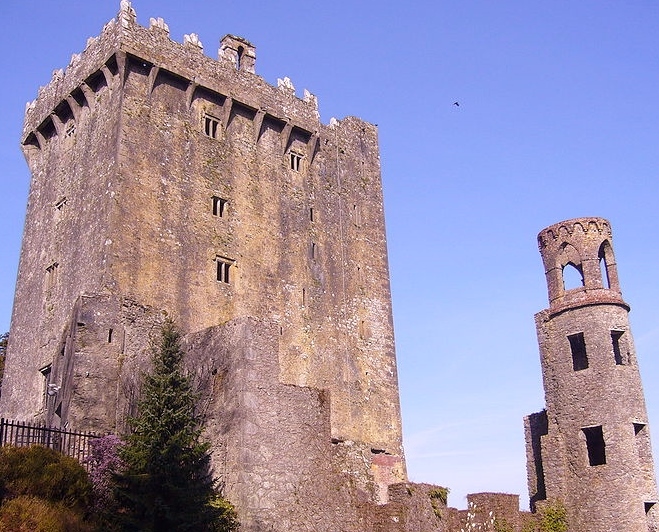 The Blarney Stone’s reputation cemented itself into Irish lore. Strongholds anchored castle security. Often located in the center of a fortress, residents and soldiers retreated to the stronghold when enemies threatened to breach the outer walls. Blarney Castle’s owner sought to protect his estate with well-oiled speech. When the English queen presented a threat, he stood within the ramparts of words. Tourists kiss the legendary Blarney Stone in hopes of obtaining his magical gift of eloquence. Seeking the power of influence, visitors lean backward over the precipice and press their lips against the special rock. Yet eloquence and influence weather away like wooden structures. It’s time to seek a stronghold that has been rebuilt with lasting stones. The everlasting cornerstone bears a radiant name. Truth remains impervious to weather, time, or enemy attacks. And when our lips stretch to bless Him, He returns the kiss with warm blessings. Much better than smooching a rock, if you ask me. Unlike Blarney Castle, we needn’t end our visit and return to life’s drudgery. The Word of God invites us to join Him as part of the castle. Truth offers far richer delights than legend. Will you join the glorious Kingdom structure and devote your lips to the Rock of Ages? I cherish my prayer walks. As I stroll, autumn sunlight glints through the oak branches overhead. The Lord holds my hand, as He often does. I snuggle against His arm and lean my heart onto His Spirit. He listens to me in a way no one else ever will. I love these intimate evenings. After I’ve open my soul, all my musings poured out onto His shoulder, sometimes I hear Him, too. On one such dusky sojourn, an epiphany bubbled within me. Profound truths and life purpose have seeded into my spirit on prayer walks in the past. This was not an isolated incident. I believe this new philosophy has a contagious element. It will resonate with others and inspire new perspective. 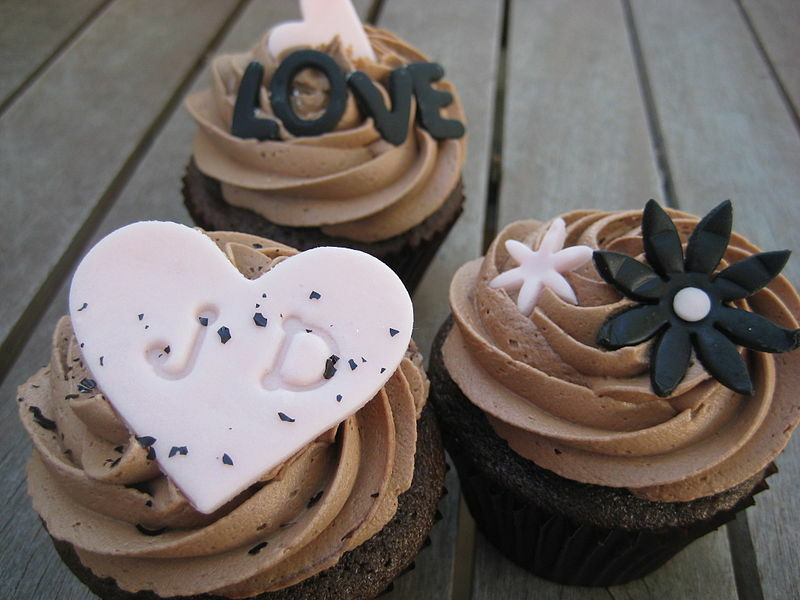 Every food is merely a medium for enjoying buttercream frosting and chocolate. See? Does that not captivate the heart? Think about the culinary options surrounding us. Bread, cake, cookies, cheese, fruit, nuts, meat…all enhanced by frosting, chocolate, or both. I realize you might have missed the chocolate asparagus dish, but it’s worth a try. Any food that doesn’t compliment frosting or chocolate has no purpose. I’m certain smoothies and juices will benefit from a double portion of frosting. In case you’re wondering about my favorite dish, I’ll specify. Dark chocolate AND buttercream frosting. Prepared as a lasagna, tossed as a salad, or as a roulade. Call me a purist, but I prefer the best ingredients as a centerpiece rather than an afterthought. I can’t imagine a more spiritual philosophy. No sarcasm intended. I’m not speaking as a foodie. Eating doesn’t move my soul. The sweetest buzz endures longer than frosting and elates the spirit far beyond chocolate. I crave it several times each day. No other delight satisfies my pangs. Anything that fails to compliment my ultimate diet of Christ lacks value. I’ll continue to enjoy them on prayer walks, as an entree unto themselves. Beyond those intimate strolls, all life’s encounters remain condiments and pie shells meant to be stirred with a an abundant filling of God’s love and grace. Christ deserves the central part of life, not the side dish, topping, or dessert course. We only add the extras if room remains. Our Main Dish nourishes us longer than a feast and offers a more uplifting satisfaction than the finest delicacy. I challenge you to “Taste and see that the Lord is Good” (Psalm34:8). Once you’ve filled yourself with buttercream frosted chocolate, no other taste can compare. Perhaps you, too, will crave Him daily. Mmm. Welcome to the sweet life, my friends. Vivid panels twist and swoop, as two-dimensional figments come alive in the skies. A matching tail streams behind each one. Kites mesmerize me. I imagine myself riding the air beside them, as if I were meant to glide on the windwaves. Perhaps I am. Perhaps we all are. Grounded kites offer little entertainment and less inspiration. Laid on the flat, common places of the world, it cannot draw eyes to the summit of possibilities. It needs breath to raise it above its own potential. The unseen wind’s power lifts the kite to represent dreams beyond the flat, common places we live upon. By aligning with the wind, the kite reveals there is more to life than what we see on earth. I want to be a kite. I yearn to align so fluidly with the Spirit that its breath lifts me beyond my own potential to a height that illuminates God’s power. How about you? If you ever dreamed of gliding above the world, plan to catch the Spirit waves and rise to divine brilliance.